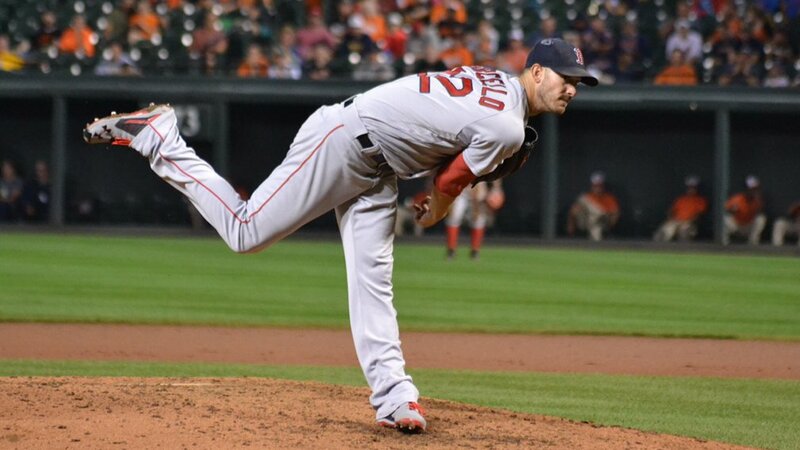 Rick Porcello delivered another gem as the Red Sox opened their series in Baltimore with a 5-2 win over the Orioles on Monday night. "He was so efficient...it was like clockwork," said Tim Wakefield as he put Porcello's complete game win against the Orioles into total perspective on the NESN postgame show. Porcello (pictured) went the distance, needing just 89 pitches to dispose of the Orioles, allowing two runs on just four hits. 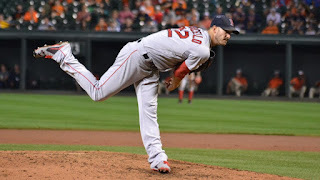 He struck out seven and did not walk a batter as he recorded his 21st win of the year, the most wins by a Red Sox pitcher since Curt Schilling in 2004. Mookie Betts put Boston up 2-0 in the top of the third inning with his 31st home run of the year and his eighth at Camden Yards this year. The Red Sox added three more in the fifth inning on an RBI single by Dustin Pedroia and a two-run homer by David Ortiz (35). The win was Boston's fifth in a row and it dropped the Orioles to four games behind the Red Sox in the AL East. The magic number to clinch the division is now nine with just twelve games to play.